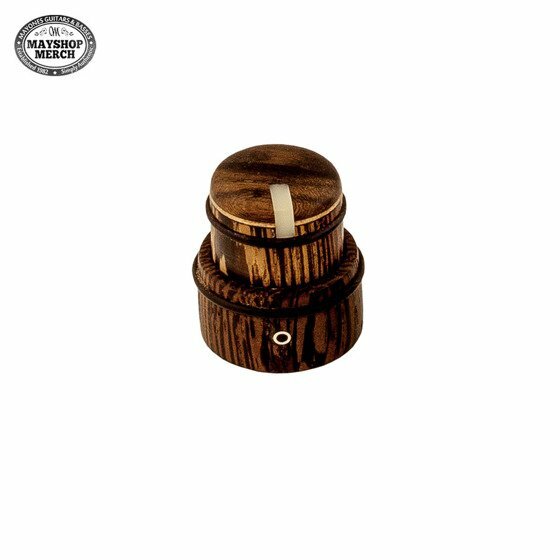 Exclusive handmade double wenge* dome knob*. 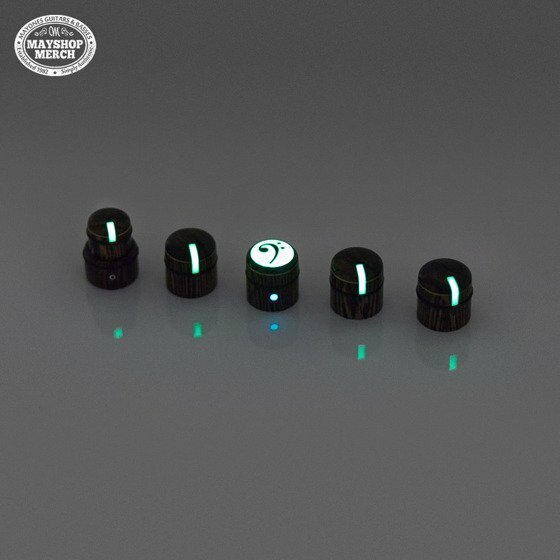 The knob has a brass potentiometer sleeve, anti-slip rubber rings, and fluorescent position marker. Suitable for both electric guitars and basses. Price per single knob. * - All visual features of the product including but not limited to colour, finish, shading, texture, or layout may be different from the samples shown on the website. All knobs are hand-crafted in Mayones factory to provide both top-notch materials and highest quality build.